Get ready for another delicious movie-inspired treat, my friends! 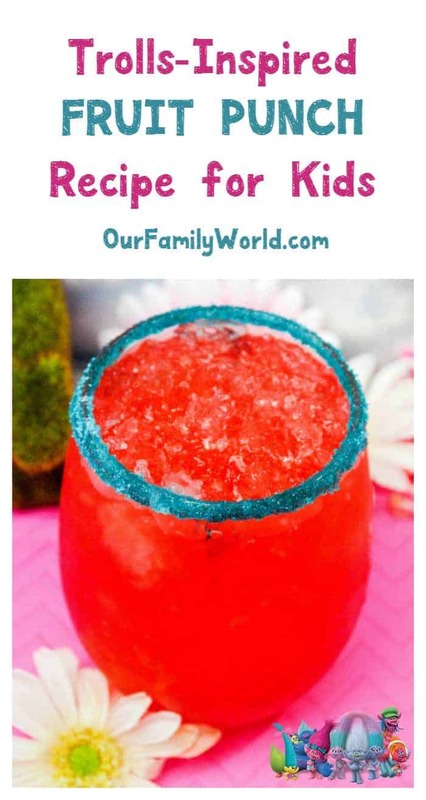 Today we have a Trolls movie 2016 punch recipe that the whole family can enjoy! By now, I’m sure you’ve heard the buzz about Dreamwork’s latest family movie featuring everyone’s favorite fuzzy-headed good luck charm. If you haven’t, check out all the best Trolls movie trivia and quotes to get caught up, or take a peek at the trailer below! Notice all the fun colors in this movie? I love them! It just screams “make me into a punch recipe,” doesn’t it? So that’s what we did! This recipe for kids is made with coconut water, which gives it a bit of a hydrating boost. Did you know that coconut water is even better at rehydrating the body than sports drinks? Ready to check it out? Don’t forget to print out the recipe card before you leave! 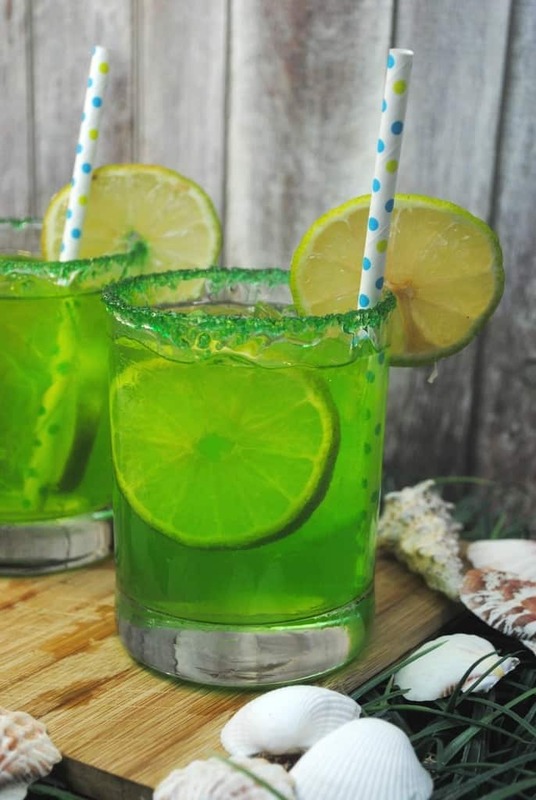 If you’re hosting a Trolls movie party, make a couple of our other non-alcoholic drinks for kids in different colors to really make your party table pop! Check out a few of my favorites! 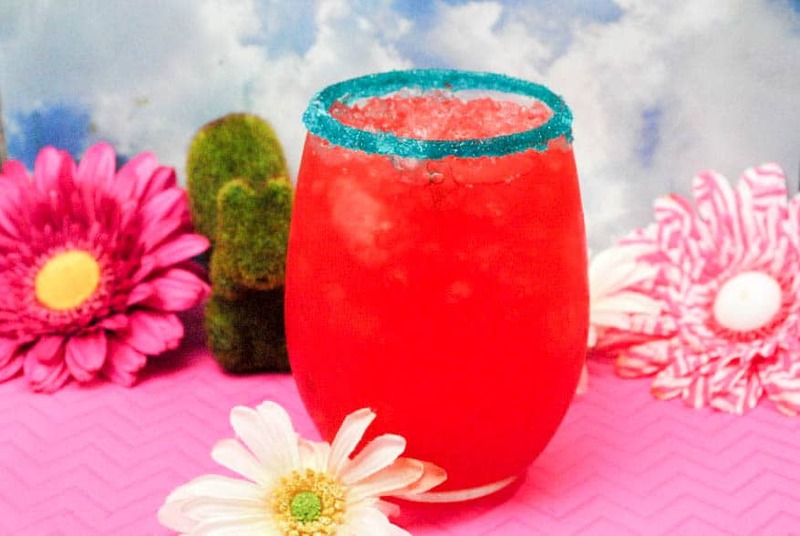 Razzy Rasberry Frobscottle Drink: Our bright green BFG-inspired drink is a perfect complement to this red punch! 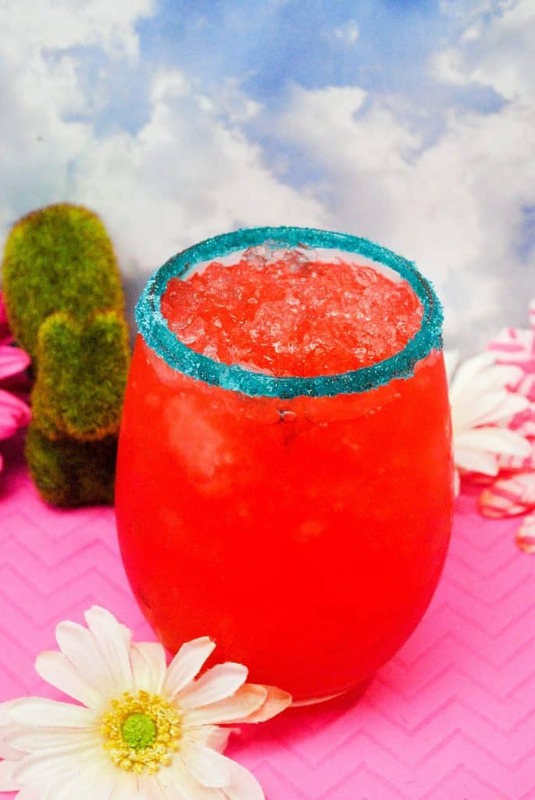 If that doesn’t really make you jump for joy, our Mermaid Punch is one of my all-time favorites! 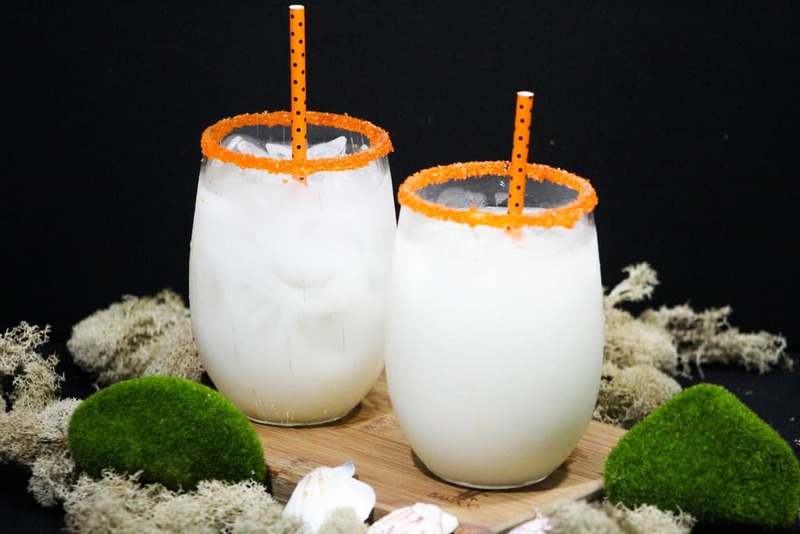 Balance out all the bright colors with the whites from our Jungle Book coconut punch! You could even add a bit of natural food coloring to this one to bring in other Trolls colors. Spending time in the kitchen with your kids is a great bonding experience. Even if you’re not a stellar cook, just about anyone can pull off a drink recipe like this Trolls movie punch! Feel free to experiment with the flavors and colors! Do you have a favorite movie recipe? Will you be seeing the Trolls movie? Talk to us in the comments! I actually hadn’t heard of the Trolls movie. The punch sounds yummy! I love that you included coconut water. yum all of the drinks look so colourful and sweet. Thanks for sharing. I am so excited for this movie to come out. I love a good animated film! I also enjoy making drinks so I cant wait to try these out! I love that you used coconut water on this drink. It has a lot of benefits and the kids will definitely appreciate it. Thanks for the recipe! That’s such a fun drink! I love that bright red color as well. Aside from doing this for the movie, it’s also perfect for Halloween! These are so fun! I’ll have to check out this movie and see if its something my young girls would like! Oh this looks like so much fun! I will have to try this recipe! I’m definitely going to be watching the Trolls movie. It looks like so much fun! Your punch recipe looks really delicious. I bet it would taste great for any party! What fun recipes! I’ll have to make a few of these for the fam. My kids love Trolls. These are great drinks to try. I know they will be a hit with the kids. These drinks seem like a lot of fun. The sugar on the rims and the fun colors will be a big hit with people young and old. This drink looks fantastic. My daughter would love it! I love all of your inspirational drink ideas! I remember Trolls being especially colorful, so your punch recipe fits right in. What great drink recipes. My girls are excited about the trolls movie. Maybe, I will try making the punch for them when we get to see it. All the drinks looks so fancy! My favorite is the Mermaid Punch! ooow this looks really fun to do! What a fun drink for the kids! Looks so great!